Oil on Canvas, 40 x 40 in, 2016. Oil on Canvas, 48 x 48 in, 2016. Oil on Canvas, 30 x 30 in, 2016. Stephen Bach is a studio painter residing in Orlando FL and works at the McRae Art Studios in Winter Park. 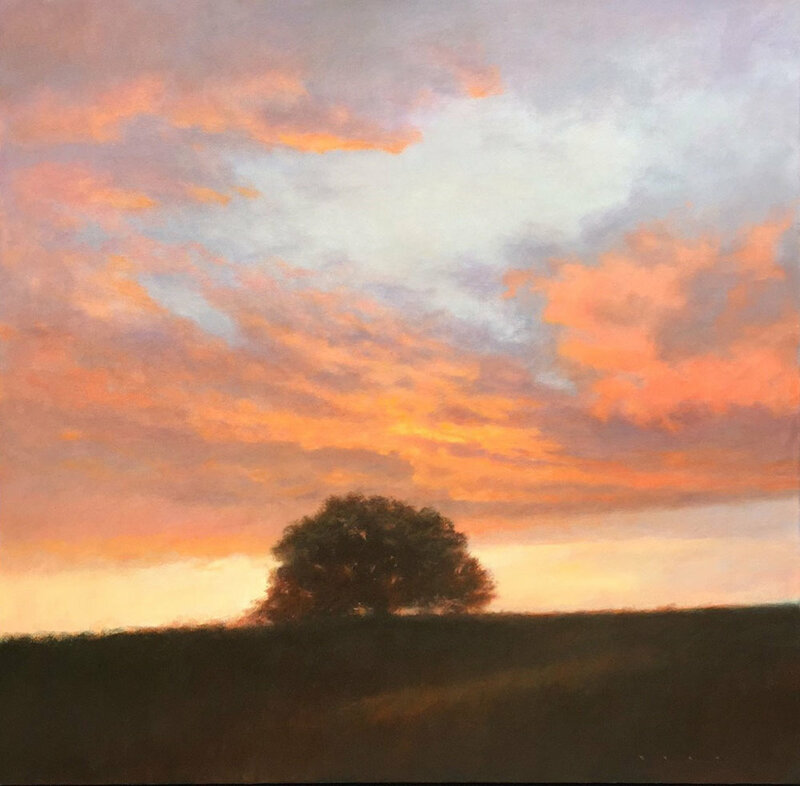 He is represented by Miller Gallery in Cincinnati OH, Bennett Gallery in Knoxville TN, Signature Gallery in Tallahassee FL, Comma Gallery in Orlando, and Third and Wall Group in Seattle WA. His works have also been shown at leading art festivals throughout the US including the Original Ann Arbor Street Fair, the St Louis Art Fair, the Cherry Creek Arts Festival in Denver, Chicago Old Town Art Fair, and the Sausalito Festival of the Arts. Raised in Orlando FL, Stephen attended Pratt Institute in Brooklyn New York majoring in painting and illustration. In 1999, after a career in commercial design and illustration, he began painting landscapes in oil. "I wanted landscape painting to be my career destination, since it has held my fascination from the beginning. My emphasis is in capturing the solitude and simple majesty in the landscape. I don’t want to over-romanticize the subject matter. There’s a line you can cross to sentimentality or schmaltz and I try to not go that route.